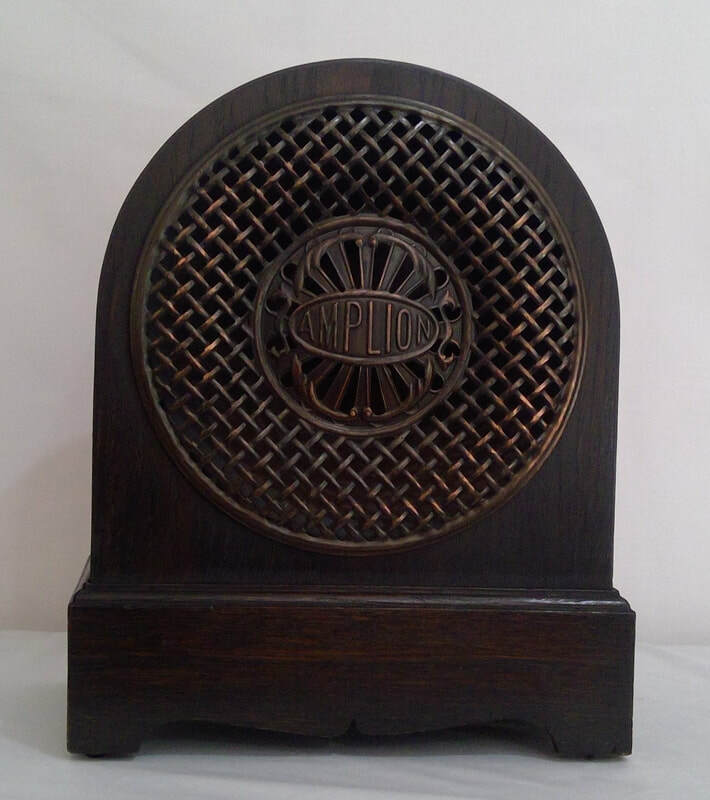 1925, "Radiolux" model RS2 (Oak) Junior size, folded horn, wireless loudspeaker, manufactured by Alfred Graham & Co., England. It is a cathedral table style in oak finish case with a metal grille front. Dimensions (HWD) 340mm x 280mm x 170mm. 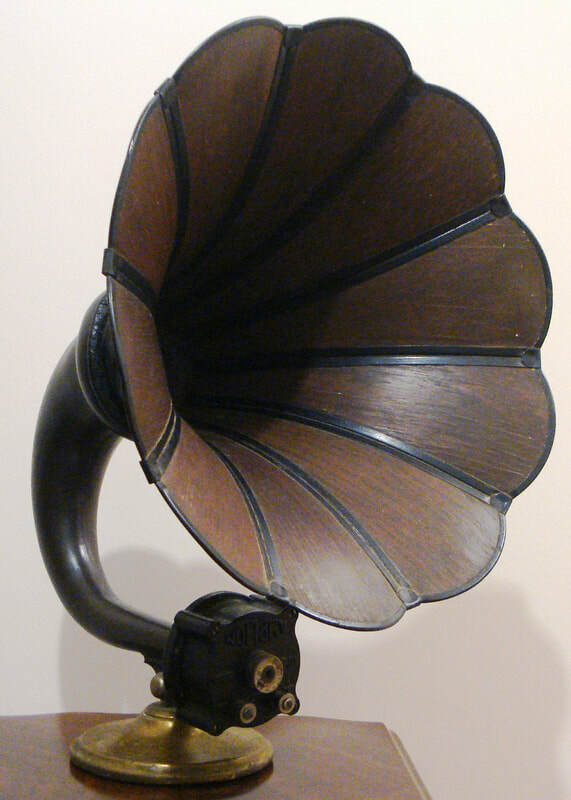 1925, "Radiolux" model RS1, folded metal horn, wireless loudspeaker, by manufactured Alfred Graham & Co., England. It is a cathedral table style with gold enamel fascia. Dimensions (HWD) 410mm x 375mm x 185mm. 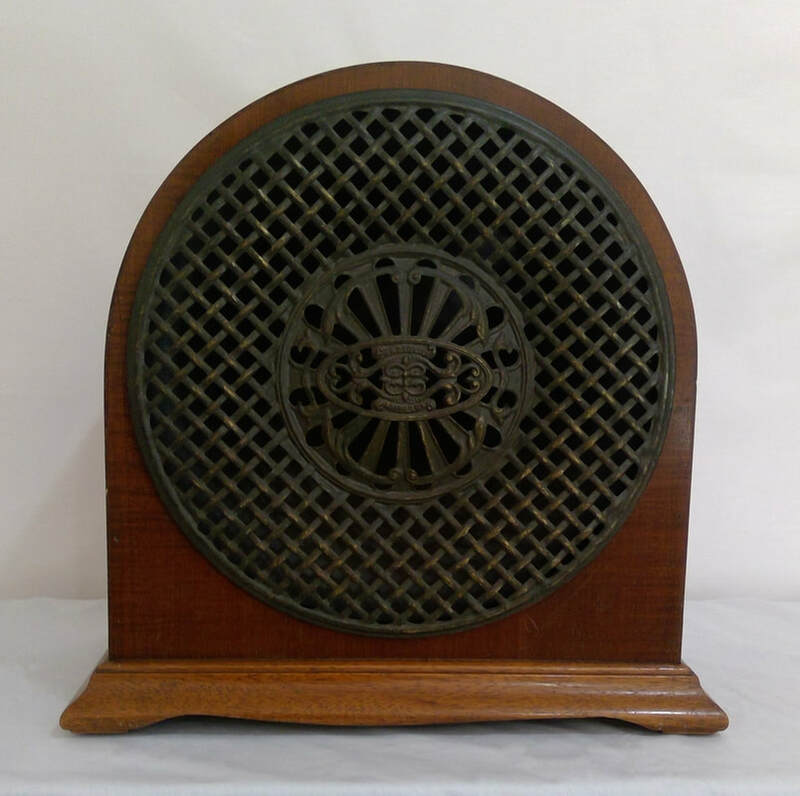 1927, Model AC2 is a magnetic hanging cone loudspeaker with a bakelite frame. Manufactured by Alfred Graham & Co., England. Dimensions is 330mm diameter. 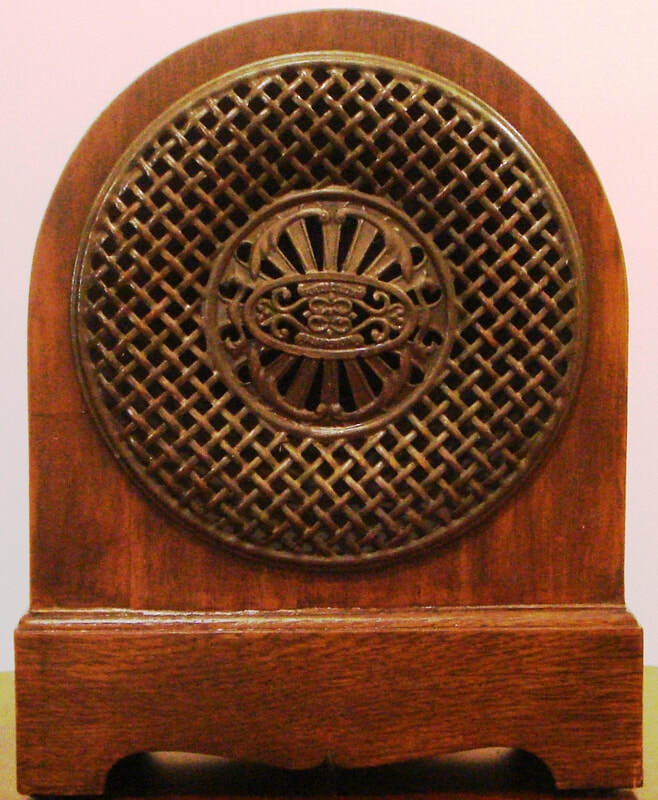 1925, "Radiolux" model RS5 Senior size, folded horn, wireless loudspeaker, manufactured by Alfred Graham & Co., England. It is a cathedral table style in Queensland Maple with rosewood finish and has a metal grille front. Dimensions (HWD) 410mm x 415mm x 230mm. 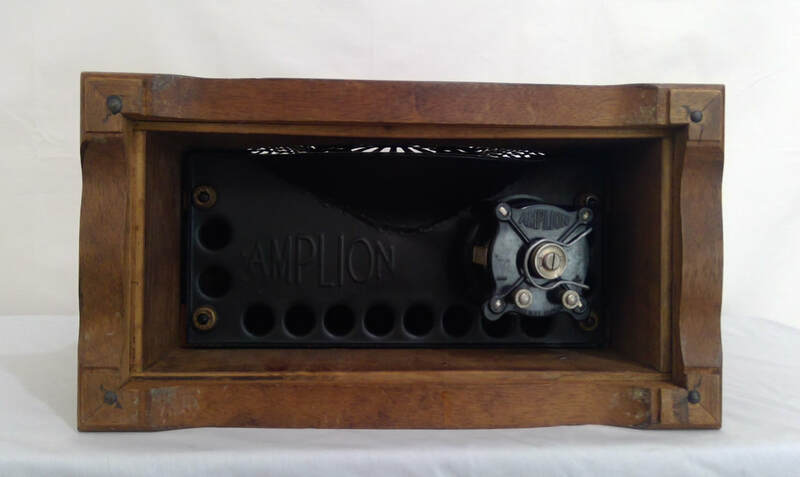 ​1927, model AB6, cone magnetic loudspeaker, manufactured by Graham Amplion Ltd, Slough, England. 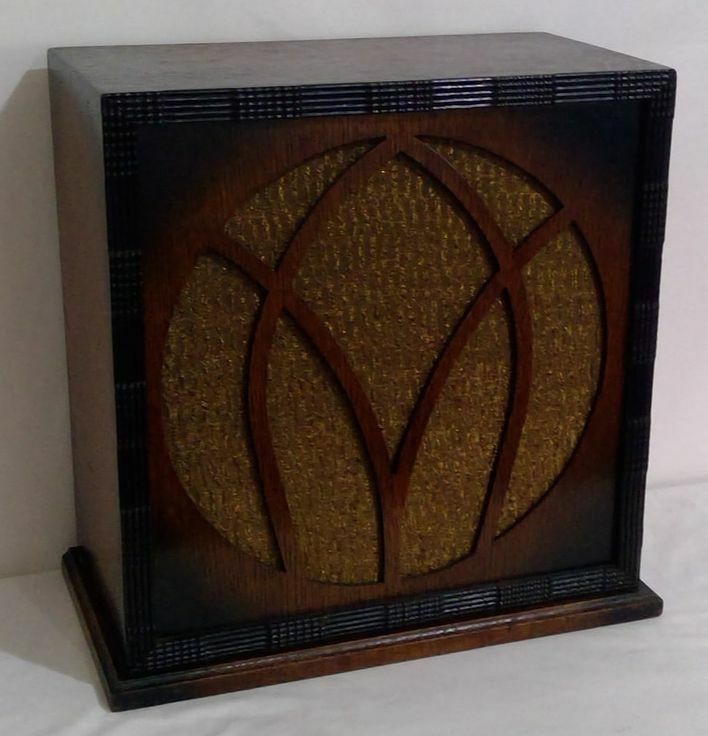 The style is a table mantle in mahogany finish case. Dimensions (HWD) 390mm x 400mm x 210mm. 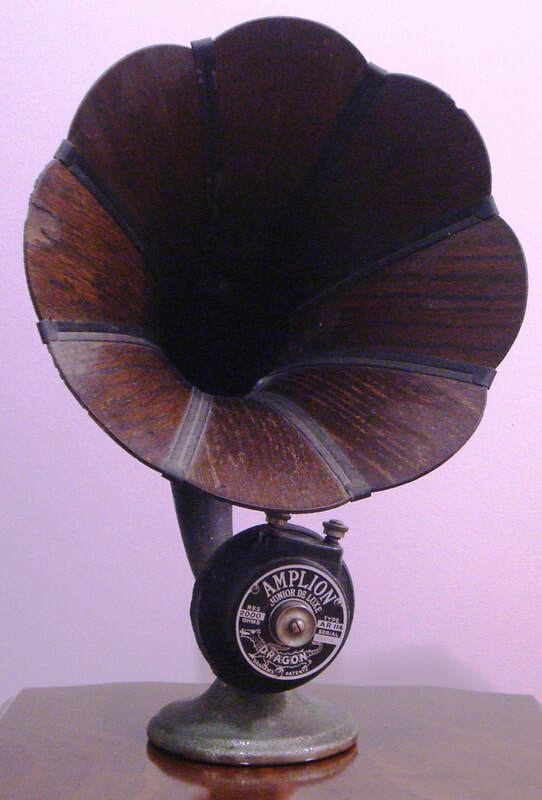 ​1923, model AR19 Standard Dragon, horn loudspeaker, manufactured by Alfred Graham & Co., London, England. It has a petal design flare constructed from sectioned oak. Dimensions Height 520mm x Diameter 370mm. 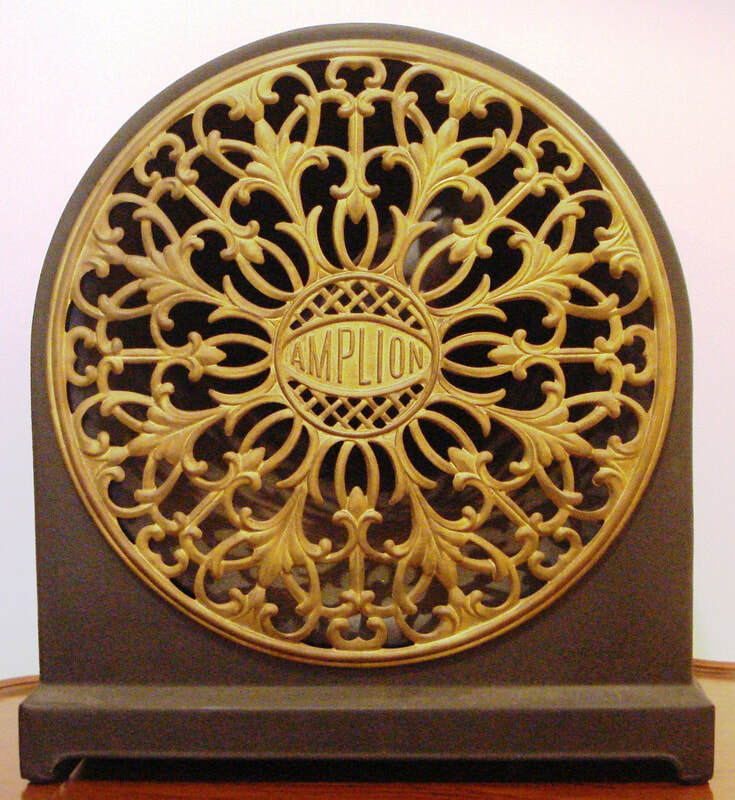 1925, model AR114 Junior Deluxe, horn loudspeaker, manufactured by Alfred Graham & Co., London, England. It has a petal design flare constructed from sectioned oak. Dimensions: Height 370mm x Diameter 255mm. 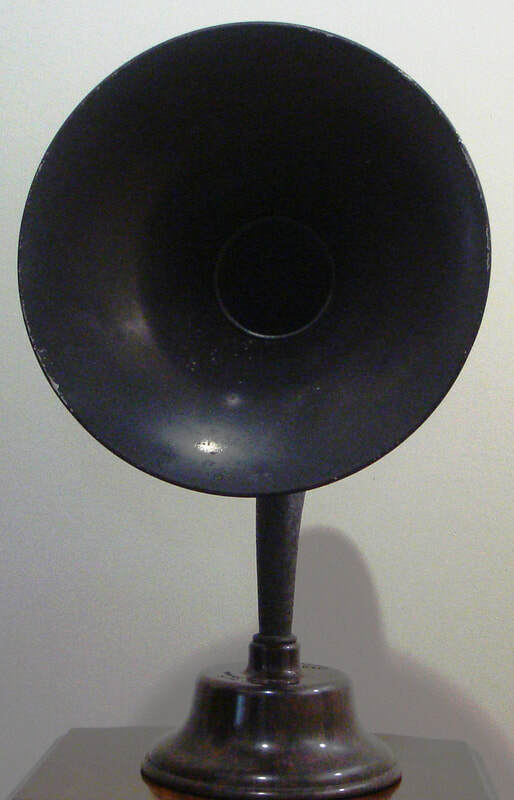 ​c1925, model AU7, horn loudspeaker, manufactured by Alfred Graham & Co., London, England. It has a metal flare. 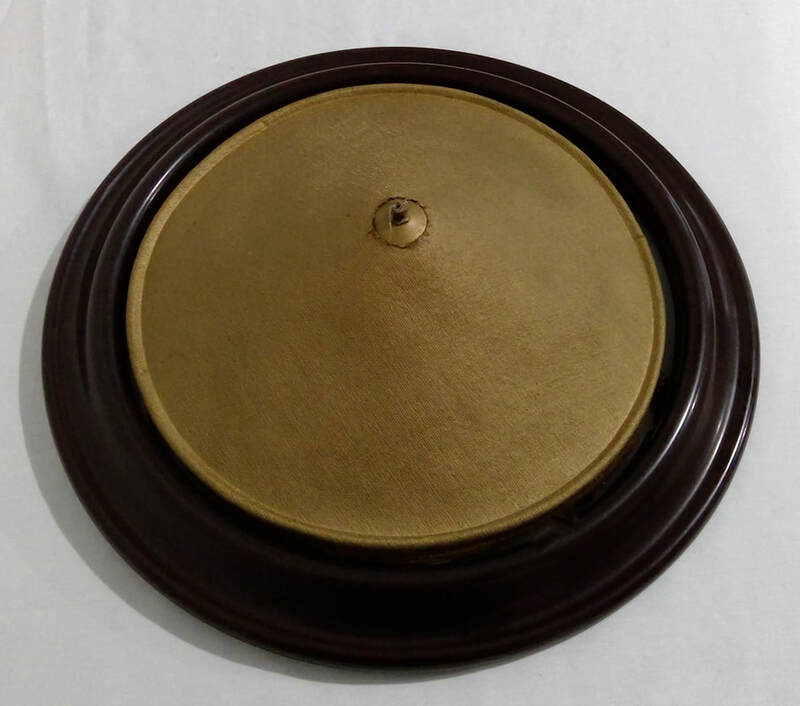 Dimensions: Height 500mm x Diameter 360mm. 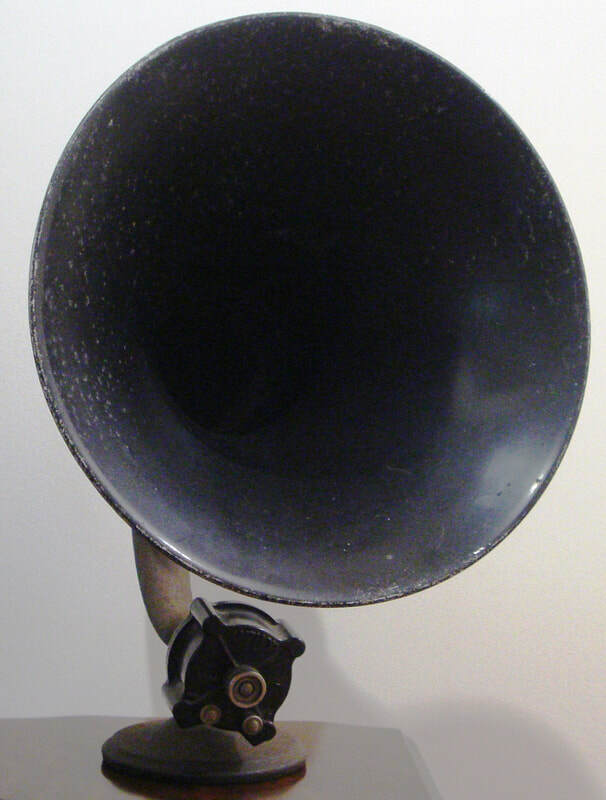 ​1927, model AR9, external horn loudspeaker, manufactured by Alfred Graham & Co., London, England. It has a swan neck metal flare with bakelite base. Dimensions Height 515mm x Diameter 310mm.